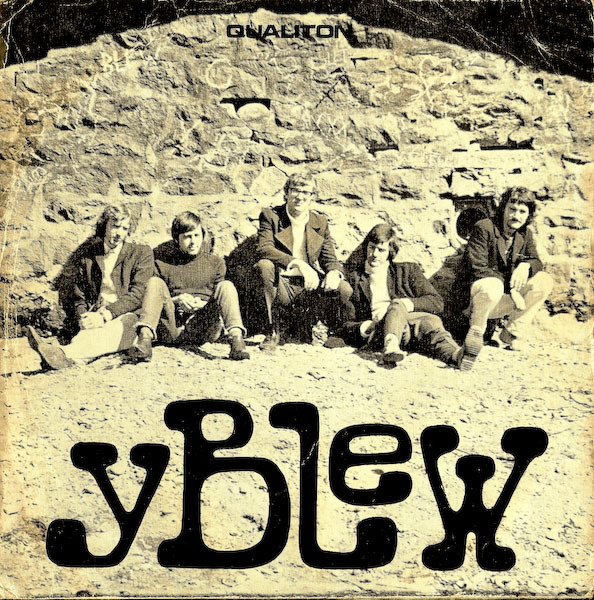 There are few really iconic Welsh language records that top Y Blew ‘’Maes-B’’ on Qualiton Records (QSP 7001) (1967). As collectors go only Albums like ‘’Gwymon’’ and ‘’Outlander’’ by Meic Stevens and Endaf Emlyn’s opus Rock Opera discs get close. Only a handful of collectors seem to have a copy of this disc with picture cover, ones I’ve heard of include Mici Plwm, Gruff Rhys, Huw ‘Prestatyn’, John Hywel Morris, Owain Cob, Gari Melville, National Sound Archive Of Wales etc etc. (I have two copies somehow). Few Welsh radio stations have and one or two DJ’s.